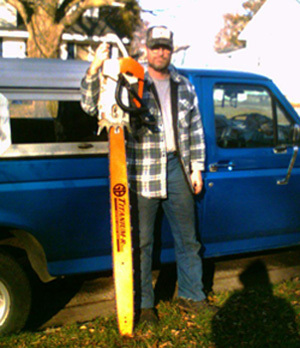 Count on Scott Peterson of SOS Tree Services when you want a tree removal job done by a nationally certified sawyer. Scott is fully insured to protect your property. Scott's niche in tree work is directional tree felling--he drops the trees exactly where he intends for them to fall. This skill has been perfected through his many years of dedication to the art of knowing just where to cut the tree. He's also an expert with roping of the trees, allowing Scott to drop trees without heavy equipment and buckets. Scott is nationally certified by the U.S. Forest Service with the highest certification--a Level C Trainer. 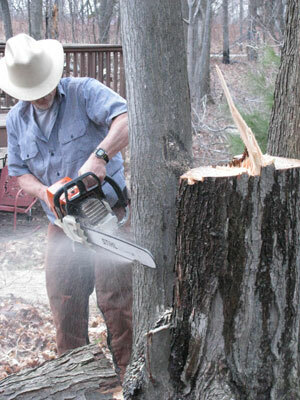 He enjoys teaching and is available to share his expertise at chain saw safety seminars. Groups smaller than twenty work best. He has trained North Country Trail volunteers, re-certifies unrestricted sawyers for the Forest Service, and specializes in precision directional tree falling. 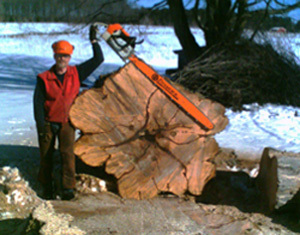 SOS Tree Services offers free estimates & competitive pricing. Call Scott Peterson of Ludington today to arrange for an estimate.